An Ontario coroner's jury has ruled the self-inflicted choking death of Ashley Smith in her segregated prison cell was a homicide. 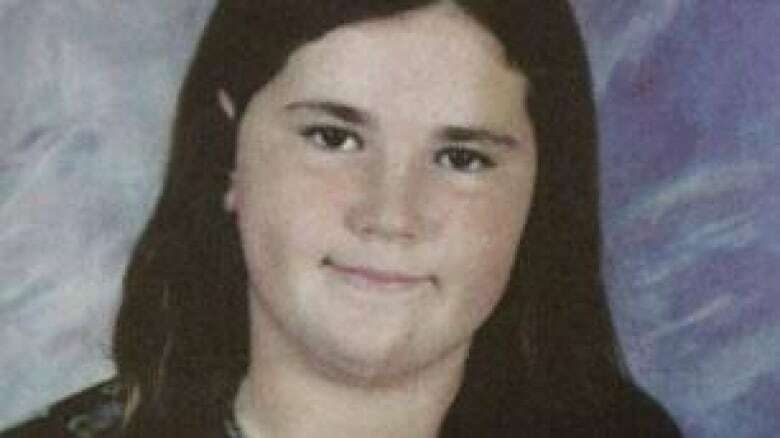 An Ontario coroner's jury in Toronto has ruled the self-inflicted choking death of Ashley Smith in her segregated prison cell was a homicide. Smith, 19, originally from Moncton, N.B., was imprisoned at the Grand Valley Institution in Kitchener, Ont., when she died in 2007. She had tied a piece of cloth around her neck while guards stood outside her cell door and watched. They had been ordered by senior staff not to enter her cell as long as she was breathing. Presiding coroner Dr. John Carlisle read the jury's findings Thursday afternoon, concluding, "May she rest in peace, and may God bless her memory." The five-woman jury made dozens of recommendations after hearing evidence from more than 80 witnesses in almost 11 months of testimony. Among the recommendations was that there be no requirement for staff to seek authorization prior to intervening in crisis situations. Smith's death be used as a case study to demonstrate how health care and the Correctional Service of Canada (CSC) failed her. Within 72 hours of admission to a federal institution, all female inmates be assessed by a psychologist to determine whether self-injurious behaviour exists. Female inmates receive support from female psychologists and support workers. The CSC ensure nursing services are available on site for inmates at all times. There be adequate staffing of qualified mental health staff at every women's institution. The CSC expand the scope and terms of psychiatrists' contracts to enable them to perform duties in a meaningful way. A federally operated treatment facility for high-needs, high-risk women be created. Decisions about clinical management of inmates be made by doctors, not CSC staff. Indefinite solitary confinement for prisoners be abolished. Until indefinite solitary confinement is abolished with CSC, its use must be restricted to no more than 360 hours. Prison staff be allowed to refuse orders without fear of reprisal. Prison staff at all levels be personally responsible for everyone's right to life. Female inmates be accommodated in regions closest to family and supports. Smith's mother, Cora-Lee Smith, was not in Toronto for the reading of the verdict. However, Julian Falconer, lawyer for the Smith family, said the verdict was "a clear statement that those in charge caused Ashley's death." Falconer said they will call on authorities to reopen the criminal investigation into who issued the order not to go into Smith's cell. "They are a law unto themselves. The leadership is terribly tainted. You have to lop the head off correctional service and start over. And the auditor general has a job to do. We expect him to do it," he said. Kim Pate, executive director of the Canadian Association of Elizabeth Fry Societies — a group that works with female inmates — had hoped the jury would return a verdict of homicide. "Many staff members have reported that she did advise them that she knew what she was doing was dangerous, but she also knew it was their job to save her,” said Pate. “So it is very clear that a combination of the order not to intervene that was sanctioned, seemingly right up to national headquarters of Correctional Services Canada, combined with the impact that had on staff, is really a major contributor to her death." Homicide is defined as the killing of a human being due to the act or omission of another. Pate said a homicide verdict would not mean any criminal or civil responsibility, but would only categorize Smith's death. Meanwhile, Steven Blaney, federal minister of public safety and emergency preparedness, said in a statement, "My thoughts and prayers go out to Ms. Smith's family. I’ve asked my officials to review carefully the jury’s recommendations." In the last year of Smith's life, the mentally troubled teenager was shuffled 17 times between nine institutions in five provinces.